Noel Hara is Vice President and Manager of LandAmerica 1031 Exchange Services. His current responsibilities include management of the sales and production of 1031 Tax-Deferred Exchange qualified intermediary services within the Midwest states. Noel was hired by LandAmerica’s Houston, TX office in May of 2004 to open the Southwest regional offices of LandAmerica 1031 and then relocated to Chicago in March of 2006 to do the same in the Midwest. Noel has been a featured speaker and MCE/MCLE/CPE educator for DePaul University, multiple real estate associations, The Illinois CPA Society and the CCIM. Additionally, he regularly teaches these courses in-house to law firms. His accomplishments have been published in The Houston Business Journal, Houston Realtor and Houston InTown. Noel has written articles published in UrbanLand Magazine, The Illinois Real Estate Journal, Midwest Real Estate News, Texas Real Estate Business and RedNews. Additionally, Noel is an active member of The Urban Land Institute where he sits on the National Membership Committee. Noel began his real estate career with a Chicago-based condominium developer in 1999. Upon being promoted to sales manager, he moved to Houston, TX and resided there from 2000 to 2006. 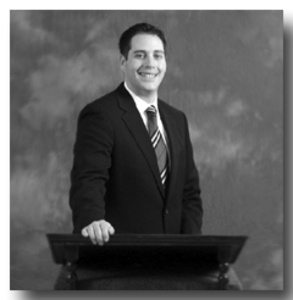 Noel currently holds active real estate brokers licenses in Illinois and Texas and is a graduate of Illinois State University. LandAmerica established its 1031 Exchange Services Division in 1990 solely to facilitate tax-deferred exchanges. To ensure the best possible service to the taxpayer, LandAmerica offices that specialize in 1031 Exchange Services have passed a LandAmerica certification standard.